Garden Clean Ups and A Treasure Hunt! My father is a really creative man, and at times, he comes up with such wonderful ideas, that I wonder, how he does it. This holiday season, he was expecting all four of his grand kids and he knew that he needed to keep them busy with something or the other. 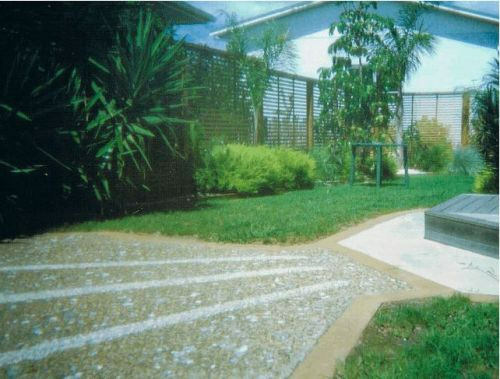 However, there was another thing that was lingering on his mind – a garden clean up in his North Brisbane home and he knew that he had to get it done as soon as possible, because this was where his grand kids would be spending a lot of their time. That is when he came up with his genius idea – a treasure hunt, which would keep the kids busy and get his garden cleared up as well. His first job was to clear out all the shrubs that had thorns on them, because obviously he did not want his little ones getting hurt. However, he did leave all the weeds and small pebbles lying around for them to clean up. When the kids arrived, the very next day, grandpa had a treasure hunt all set for them. He gave them each a task –remove the weeds, trim the hedges, pick out all the pebbles, clear away all the dead leaves, create new furrows for the seeds and so on. Each time the kids completed a task, they were given a treat and then a new task. Within a few hours, the children were exhausted, loaded on sweet treats and my father had his garden clean ups done and dusted with! And what the most important part of this all is that the kids had so much fun and a great sense of accomplishment too! 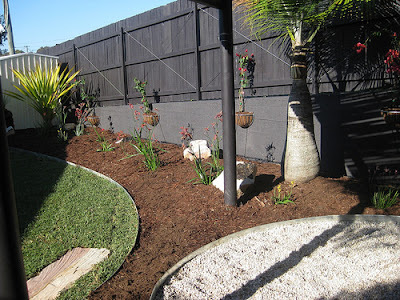 A Brisbane sandstone boulder wall – that was pretty much all that I had initially planned, but once I spoke to a landscaper, I knew that while I was getting the wall put in, there was so much more that I could get done. For starters, I could get my entire garden cleaned out – they told me that they could bring in a crew that would not only clear out all the weeds, but even give me a clean slate, if that was what I wanted. I decided that it was high time that my entire landscape took on a new look and I hired a Brisbane commercial landscaper to handle the task. The first thing he did was come in for a site visit and after taking his time, he gave me a brief vision of what he intended to do with the space. He made sure that he took in my ideas and incorporated them into the plan that he was creating. Since I had to get a boulder wall put in, he gave me the idea to use them to my advantage. He suggested that I get a terraced look, in which I could create partitions. Each partition could hold something different and this was actually the perfect way for me to get my own kitchen garden! Had I spoken to a Brisbane industrial landscaper, they might not have been of much help, but hiring someone who knew how to work smaller space was a great revelation and within days, I had the garden of my dreams!